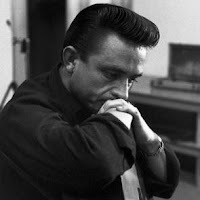 Time for Classic Moment when I put aside all new music and blow a bit of Internet dust of an amazing old track that's well worth digging up and taking for a spin- today it's Johnny Cash Folsom Prison Blues from 1959. A song I think everyone should have heard at least once in their lifetime. Lean back, take a deep breath and relax, put those feet up and enjoy.